Induction cooking is quickly becoming a popular medium for cooking. It offers the control and sensitivity of gas and the heating power of an electric stove. An induction cooktop creates a lot of heat very quickly, but you can also cook your food very slowly at a low temperature. This means you can bring your food to boil faster and then simmer at a precise temperature. Electric stoves change the temperature very slowly, which can be a problem when you are cooking heat sensitive recipes. With induction, the moment the stove is turned off, the cookware begins cooling, like with gas. If we look from an efficiency standpoint, does the claim that induction cookers are more energy efficient than electrical (coil) cooktops? Read on to find out more. The main advantage to using induction cookers is speed. The magnetic field created between the cooker and the pan or pot transfers heat directly into the base of the cookware. With an electric stove, you have to first heat the element and then transfer the heat into the base of the pan. Induction cooktops essentially cut out the intermediary. Since the burners heat up faster, less time is spent cooking. This is especially true for meals that are only on the burner for a short period of time. If you are going to prepare something that will takes hours to cook, then a slow cooker is more efficient and convenient. In warmer countries or hotter areas like restaurant kitchens, air conditioning and fans have to be used because the ambient temperature rises so dramatically. With induction cooking, all of the heat is transferred directly to the pan so very little wasted heat is generated. 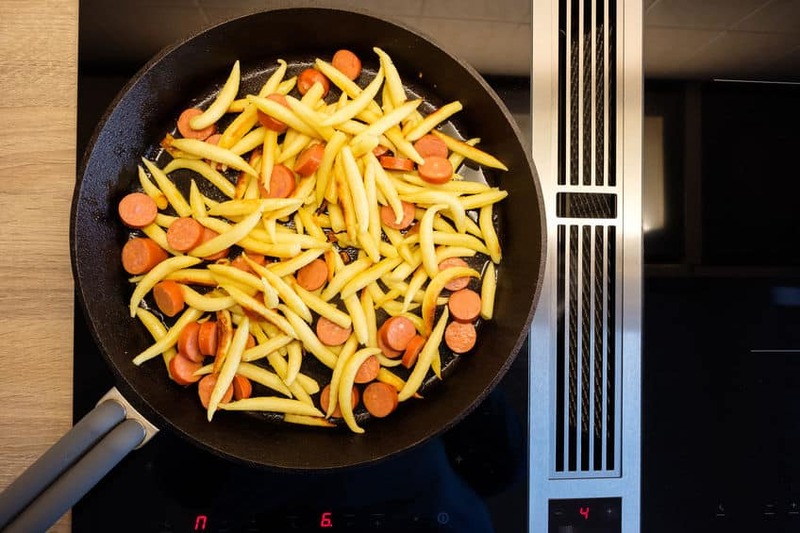 Smart and sustainable technology has been incorporated into induction cooktops, including detection sensors that turn the cooker off if there is no pan placed on the plate within a certain amount of time. Some of the most expensive induction cooktops also boast a “boil alert” feature. It can detect the vibrations from hot liquids that could boil over, and then reduce the heat to a lower level. This means that there are no accidents, messes, or energy wastage. The boil alert sensors also detect the boiling point of different liquids like oils, soups, water, and milk. Once at boiling point, the induction cooker beeps to alert you. Environmentally-friendly glass ceramic materials are used to make induction cookers. The cooktop is a poor conductor for heat, so very little heat is wasted through the base of the pan. This leaves the cooktop cool, lowering the risk of accidents and injuries. Of course, the opposite is true for electric stoves. They take a while to heat up and even longer to cool down, wasting energy. 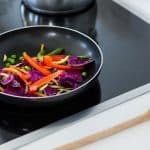 The fact that induction cooktops don’t heat anything that doesn't have a magnetic base, means that food won’t burn to the surface and the risk of fire is almost none. Unfortunately, the downside of using a glass surface is that it is easy to scratch, which means its long-term durability is questionable. Electric stovetops are very durable and rarely break. There has been a lot of discussion as to whether using an induction cooktop will reduce cooking energy consumption. In 2014, an independent, non-profit organization, Electric Power Research Institute (EPRI) conducted a technical assessment of induction cooking. 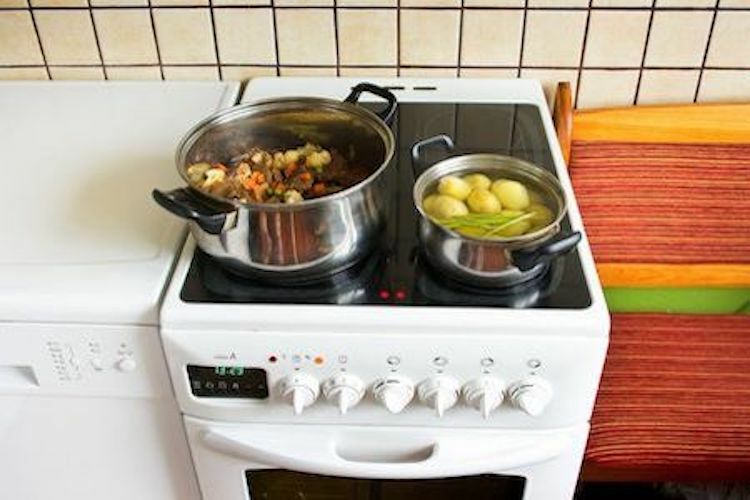 The purpose of the study was to determine the cooking efficiency of induction technology and use this data to estimate energy savings potential. Two portable single burner induction cooktops and one electric coil stove were used to heat water from 70° to 200° F. The size of the cookware was described as large and small. EPRI concluded induction cooking is not always more efficient than conventional electric (coil) technology. When cookware whose base diameter was smaller than the heating coil, the efficiency was greater with induction cooking (76.2% vs 41.5%). However, if a cooking vessel that covered the coil was used, then electric stoves were more efficient (83.4% vs 77.4%) than induction burners. 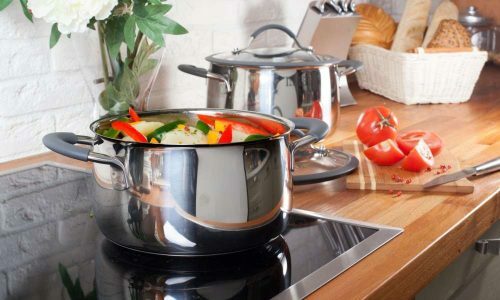 Induction cooking was highly efficient regardless of cookware size; whereas, electric coil efficiency dropped significantly when small cookware was used. According to this study, if you only used cookware smaller than the coil diameter, you would save at the most, $6.87/year on your electric bill. Energy savings alone, is not enough of a reason to purchase an induction cooktop. However, there are many other advantages to induction cooking and very few drawbacks. There are many reasons to purchase an induction cooktop other than any potential energy savings. The most important one is safety. There is no open flame and the chance of getting burned is drastically reduced when compared with an electric or gas stove. 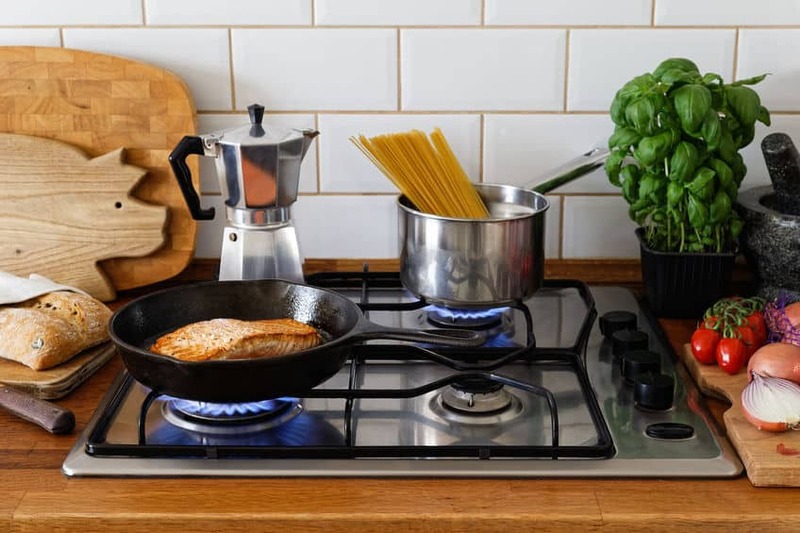 Most cooktops automatically shutdown if a pot or pan has been removed from the burner and have a low/high voltage warning system, overheating protection, and a settings lock. 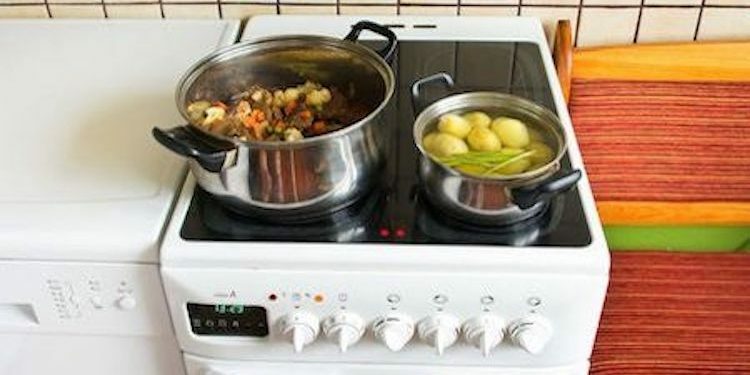 Other advantages of all induction burners are that they are easy to clean, can be used as a food warmer and the temperature can be more accurately controlled. When cooking food that takes a short period of time, induction cooktops are faster. Additionally, the response time to temperature changes is faster than when using electric cooktops. Single burner cookers are portable and can be stored in a cabinet.